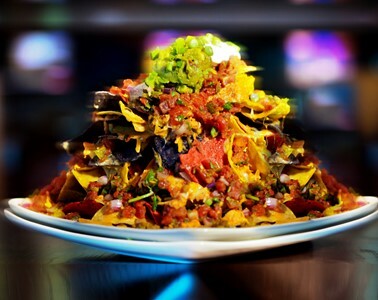 At Big Al's, you'll never miss another game! If you can’t make it there, make it HERE! 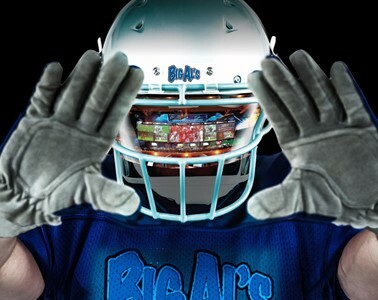 There’s no better place to feel like you’re in the heart of the action than at Big Al’s! Stadium seating gives everyone a killer view of the 55-foot wide HD projection screen on which we can broadcast nearly any sporting event in the world! Those BIG games are even BIGGER here! To create the most awesome viewing experience for as many fans (and rivals!) 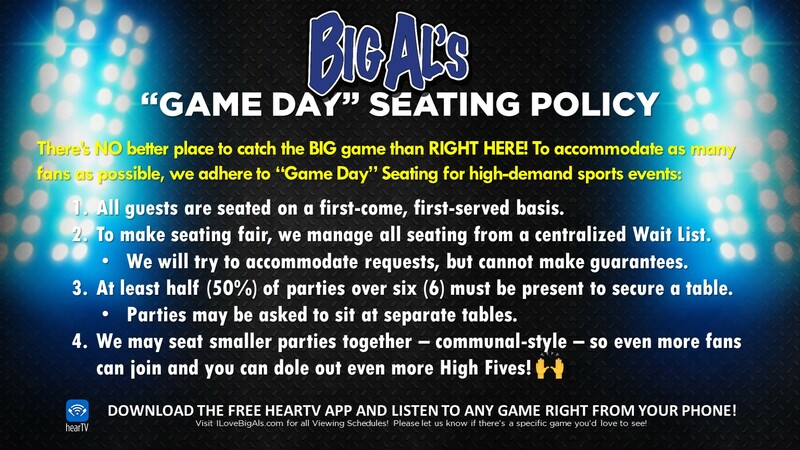 as possible, we offer “Game Day Seating” for high demand game days to ensure just that! See Policy HERE! BAR GAMES GALORE IN OUR SKYBOX! Perched high above the Big Al’s Sports Bar & Grill, the SkyBox Lounge & Caddyshack is our exclusive hangout with a full view of the 55’ wide HD projection screen below. 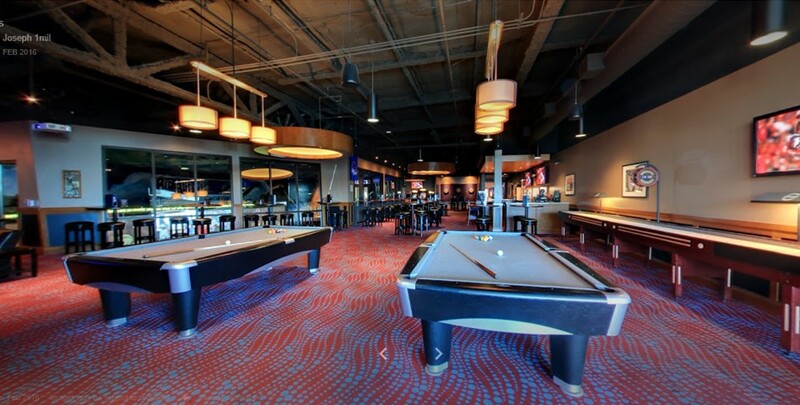 Decked out with a full private bar, two 9’ drop-pocket championship pool tables, steel-tip dart lanes, table shuffleboard, and classic Arcade games, the SkyBox is a virtuoso playground for our guests 21 & over. Bird's-Eye View of the 55' BIG Screen! The BEST views of the game! Join the action ALL YEAR LONG for the BIG game and BIG savings! Sign up for Big Al’s Season Pass to enjoy perks, promos, and chances to WIN BIG PRIZES no matter who you root for! You’ll receive email blasts with upcoming events and Season Pass Holder Exclusives, so you’re always in the know! 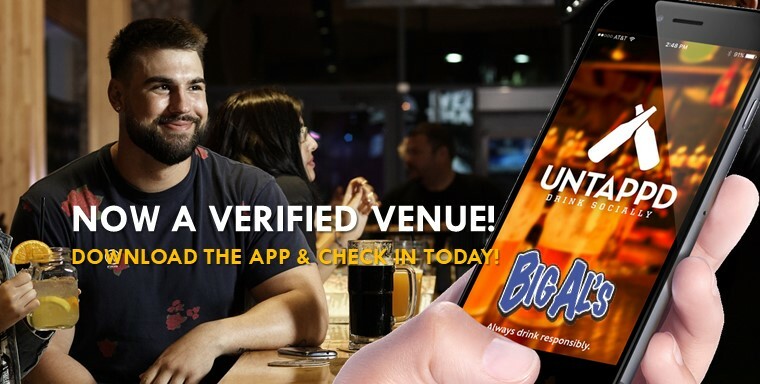 Download the Untappd app today and you can check in, see what’s on tap, share your favorite brews, rate your brews, see where your favorite brews are available, earn badges, AND MORE! 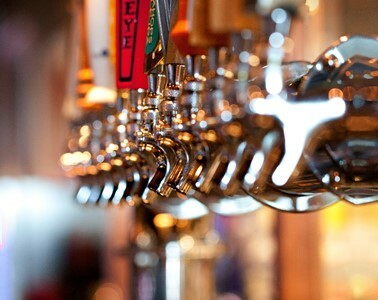 Wanna see what’s on tap? Click here for our Beer List! We do our best to ensure that you know when/where your team will be playing on the big screen via our TV schedule below.